On the sober morning of 20 February 1998, I took the train from Oxford to Bath. I’d originally planned on staying in Bath, and since by necessity I’d returned to my original plans I checked into the funky Bath International Backpackers Hostel. From Bath I took the train to Salisbury. I didn’t have the time to make a trip out to Stonehenge as I thought I’d might, but that was low on my priorities. Instead I strolled around Salisbury which had some charming streets but mostly reminded me of my childhood hometown of Stamford, CT (if you’ve never been there think of uninspired suburban corporate architecture). My main site for the day was Salisbury Cathedral with its soaring spire. I spent the better part of the day exploring this 700-year old edifice. 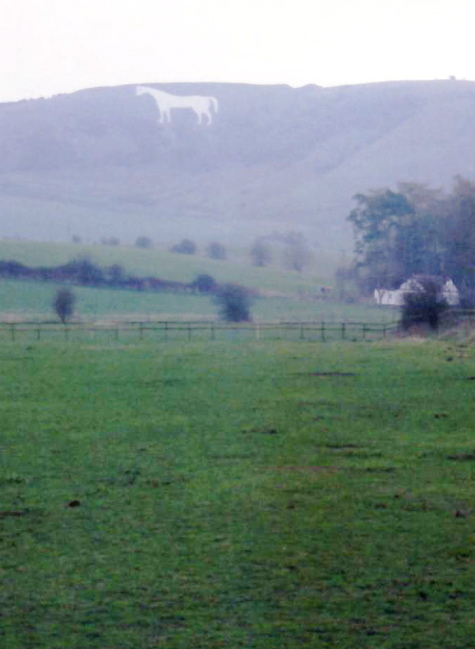 On the return train to Bath, I noticed a giant white horse of chalk on the hillside outside the train. I spontaneously decided to get off at the town of Westbury and check out this White Horse. I wandered through the cute town center and then along some public footpaths that cut right through people’s property and got a somewhat closer glimpse of the White Horse. My act of spontaneity was not too rewarding but I did get some fresh air and exercise. Back in Bath, I laundered my clothing in the basement and after slipping into some clean, fresh-scented clothing I returned to my dorm room. All the dorms were named for musical genres, my being Rock, with my bed named Pink Floyd. En route I passed the misspelled Heavy Mental room where five American students from Bucknell Universitywere drinking wine from plastic cups and climbing out their window onto their “balcony” (in fact, the roof). They invited me to join them so I climbed out and helped them take many, many pictures. Since I had a whole day’s advantage on them in Bath, and love playing tour guide, I ended up showing them around. At first I enjoyed the company, but I soon grew to be weary of my American companions who continued to drink wine as the strolled the streets, took innumerable photos in the dark, and were rude to pretty much everyone we encountered. In other words, UA’s pure & simple, and I didn’t want to be associated. So I led them back to the hostel and then went to Schwartz Brothers and stuffed my face with veggie burgers and chips. Not too exciting but it’s what I did. 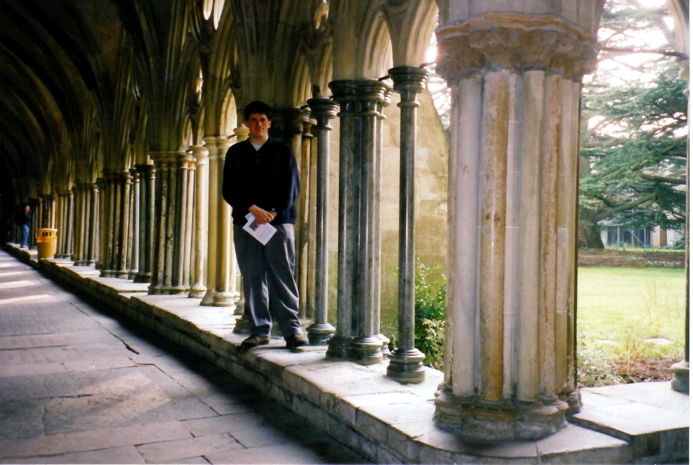 In the cloister of Salisbury Cathedral. The White Horse on the hillside.